This time last year, the trees were blazing with color. 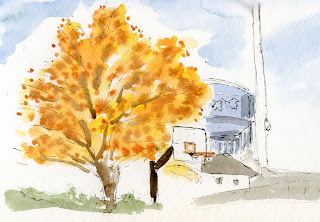 Conditions must not be ideal this Fall, because the leaves on many trees seem to be going straight to brown. Still, I’ve been seeing enough red maples and yellow aspens that I’ve been eager to sketch as many as I can before all their leaves fall off. 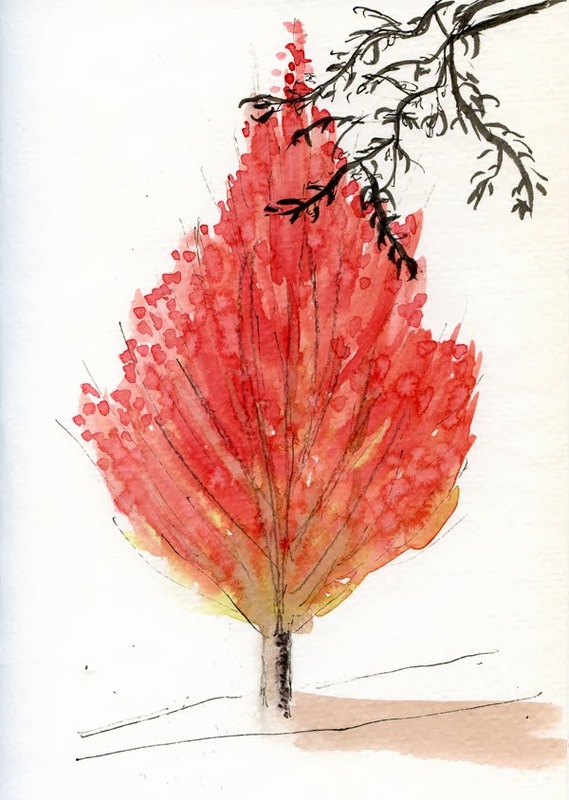 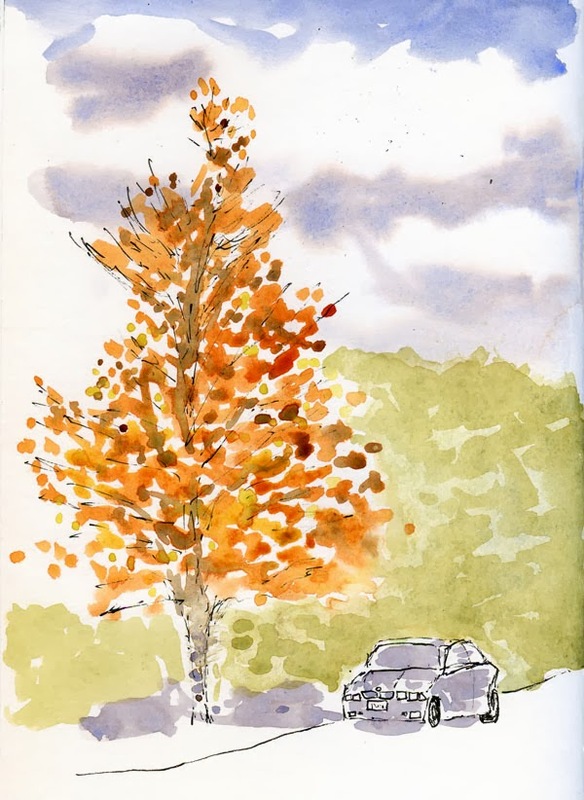 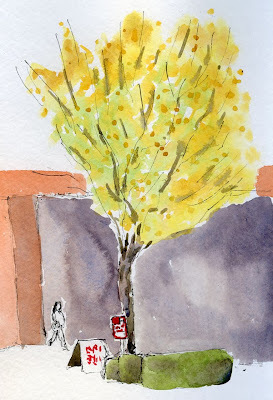 Here are several trees I’ve sketched this week in the Green Lake, Maple Leaf and Roosevelt neighborhoods.